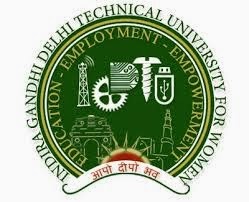 IGDTUW Recruitment 2015: The Indra Gandhi Delhi Technical University for Women (IGDTUW) has announced the recruitment notification for the non-affiliating teaching and research Posts of university in Delhi to facilitate and promote studies. The following faculty position is Deputation/contract basis. Now the eligible candidates may apply the application before the May 22nd, 2015. The number of the vacancies is indicative purpose, it may be increased or decreased based on the recruitment. Further more detail like as the Name of the post, No of Post, age, qualification, application fees, instruction given below. University Name: Indra Gandhi Delhi Technical University. Name of the Post: Professor (IT), Assistant Professor (MAE), Associate Professor (MAE), Professor/Associate Professor (Architecture), Assistant Professor (Architecture). Professor - Candidates should complete the Ph.D degree with first class M.TECH in appropriate branch of Engineering and Technology and then have a minimum of 10 years teaching/research/industrial experience. Associate Professor - The candidate should possess the Ph.D in the relevant field of Engineering and Technology with minimum 8 years teaching/research/industrial experience. Assistant Professor - Candidates must be complete the ME/MTECH and BE/B/TECH or equivalent and relevant discipline with first class at Bachelor or Master level. The interview date and time, venue of the interview would be mention on the university website on 11th May, 2015 by 5:00 pm. Candidates kindly check the official website to get, the more details about this vacancy. The eligible candidate can download the application form from the official site and fill the application prescribed format along with relevant details regarding educational qualification, experience specialization required for various teaching posts. After filled the application sends to the address given here. Last Date of Application Submission: May 22nd, 2015. Note: The incomplete application and late dates of receiving the application shall be rejected.